Stansted Airport bus transfers to and from King’s Cross with our service from Liverpool Street. The service takes between 105 and 130 minutes, depending on the time of day. 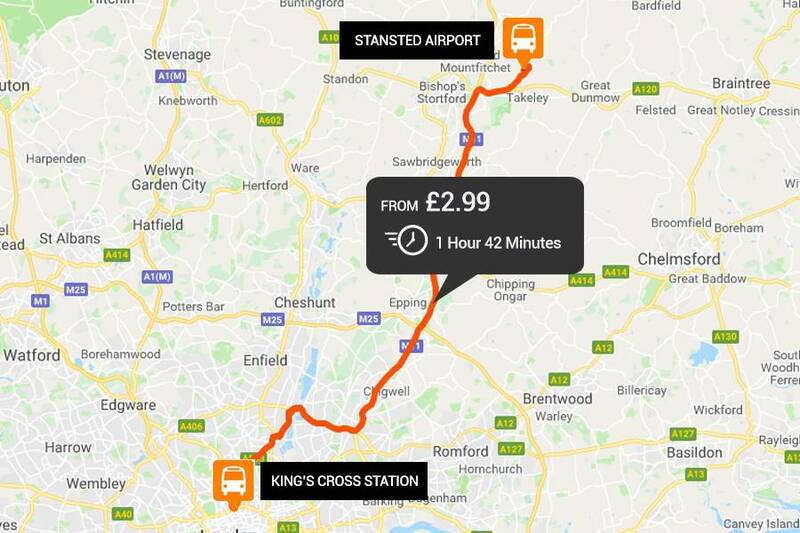 Not only that, the transfer service runs every 25 minutes and operates from 12 am to 11 pm from Stansted Airport, and 2 am to 12 pm from King’s Cross.